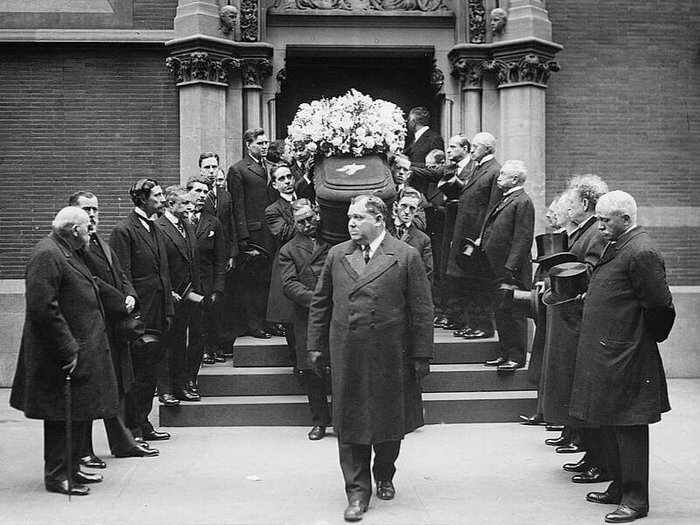 The funeral of Wilhelm Ludwig Stengel (1847-1917), in New York City, 1917. Photos by the Library of Congress. Sometimes it’s hard to imagine what life was like 100 years ago, but these incredible vintage photographs give a precious glimpse into how Americans paid tribute to loved ones when they died. 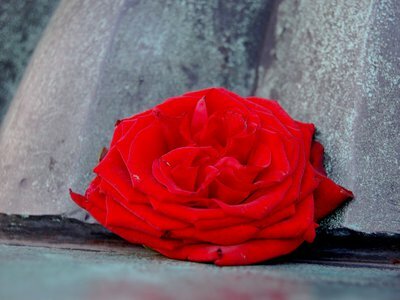 While so much has changed about how we live and how we die, there’s also plenty that you’ll recognize in the continuing traditions we still honor today. 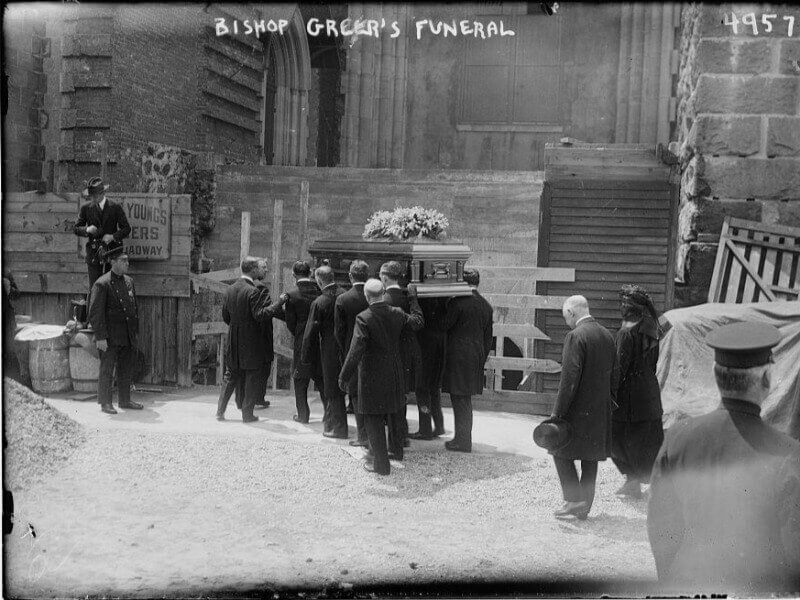 Though this rare snapshot may not show it, Bishop Greer’s funeral procession in 1919 was attended by over 1,000 clergymen from all different Christian churches paying their respects. Born in Wheeling, Virginia, (now West Virginia) in 1844, David Hummell Greer was a Protestant Episcopal Bishop for the New York diocese. Here you can see the pallbearers bringing his casket into the Cathedral of St. John the Divine in New York for the funeral service. Newspapers described his funeral as a spiritually uplifting experience, with one heralding it as “a triumph of the theme of everlasting life over death.” Greer was buried in the crypt directly under the cathedral’s altar. This old photograph is a postcard, sent from a Mr. Alex Guthrie to Mr. Wellcome in January 1925. It shows a funeral procession in Anchorage, Alaska. On the back of the postcard, Mr. Guthrie notes that around 400 people attended the funeral. On either side of the pallbearers, you can see a brass band playing, paying tribute to the person being laid to rest. 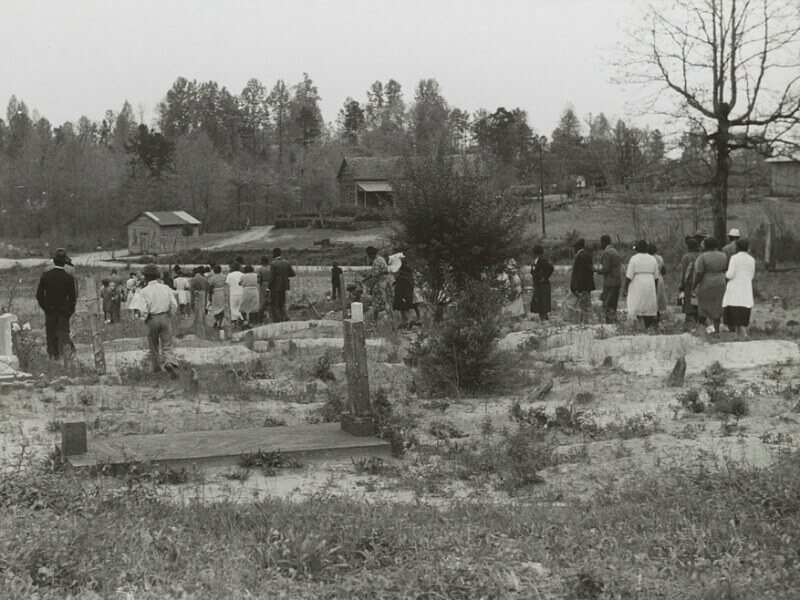 In this picture taken by photographer Jack Delano in 1941, sawmill workers gather for a funeral in Heard County, Georgia. They are paying tribute to a fellow worker who was aged just 19 when he died. 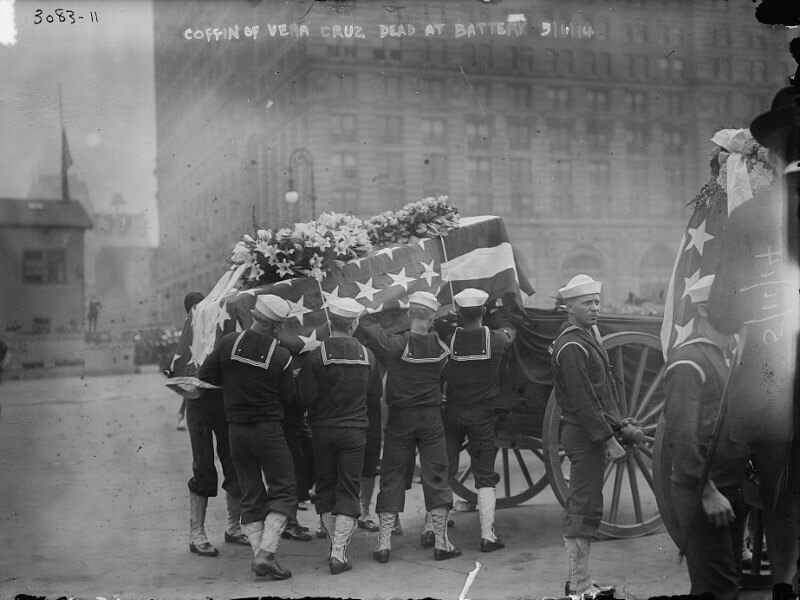 This moving historical photograph shows U.S. Navy sailors in New York City, loading a flag-draped casket onto a caisson, a type of ammunition wagon. The casket represents the seamen and marines killed at Veracruz during the Mexican Revolution in 1914. These sailors are on their way to a National Memorial Service in honor of those who died during the conflict. 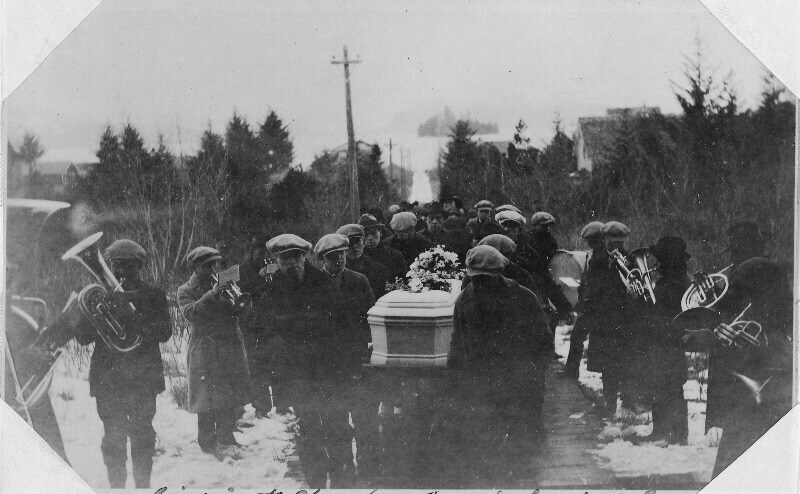 This historical photograph shows the funeral of Lieutenant Colonel John Jacob Astor who was among those drowned in the sinking of the Titanic in 1912. A business tycoon, he was one of the wealthiest men in the world at the time, worth nearly $87 million when he died (around $2.16 billion in today’s money). 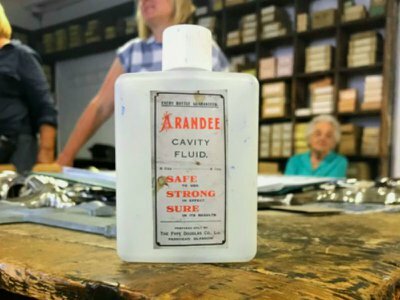 Newspaper reports revealed how he helped his pregnant wife and two other women into one of the last lifeboats to leave the sinking Titanic. 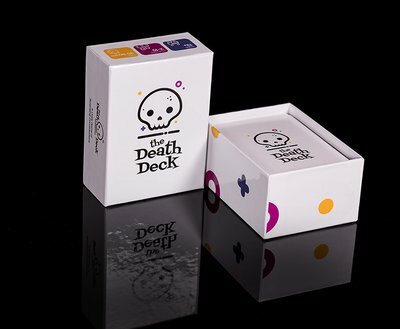 He was last seen alive on the starboard bridge wing, smoking a cigarette as the ship went down. 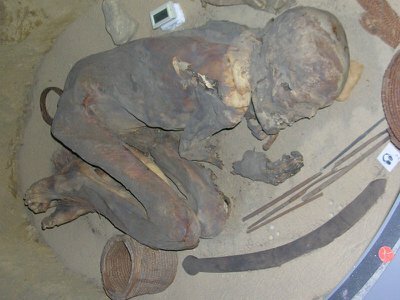 His body was later recovered. His wife survived and gave birth to a son four months after the tragedy. 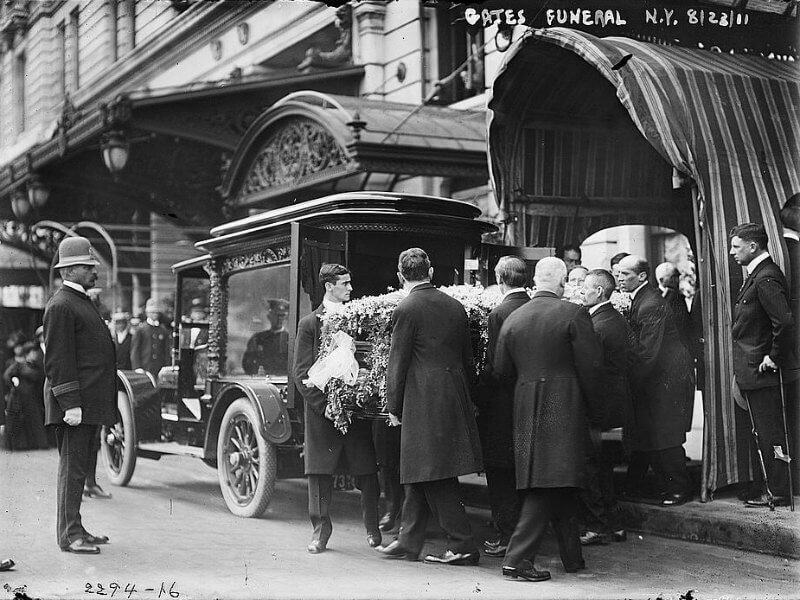 Large crowds lined the street for Astor’s funeral, paying homage to one of America’s most famous businessmen. He was buried at Trinity Church Cemetery, New York City. Before the automobile became widely popular, funeral processions were led either on foot or by horse-and-carriage. 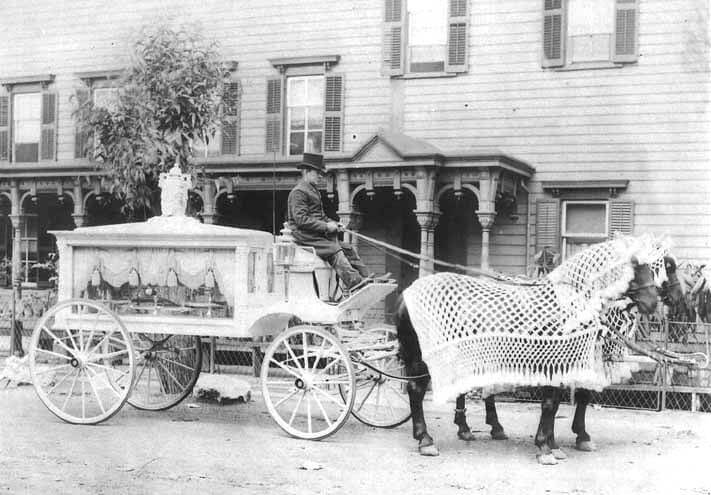 Most funeral homes had a dedicated funeral hearse, elaborately decorated for a respectful procession to the church or graveyard. The historical photograph above shows a horse-drawn hearse and its driver outside Neil Regan Funeral Home in Scranton, Pennsylvania, circa 1900. The horse is fitted out with a decorative caparison, a type of cape, for the solemn occasion. 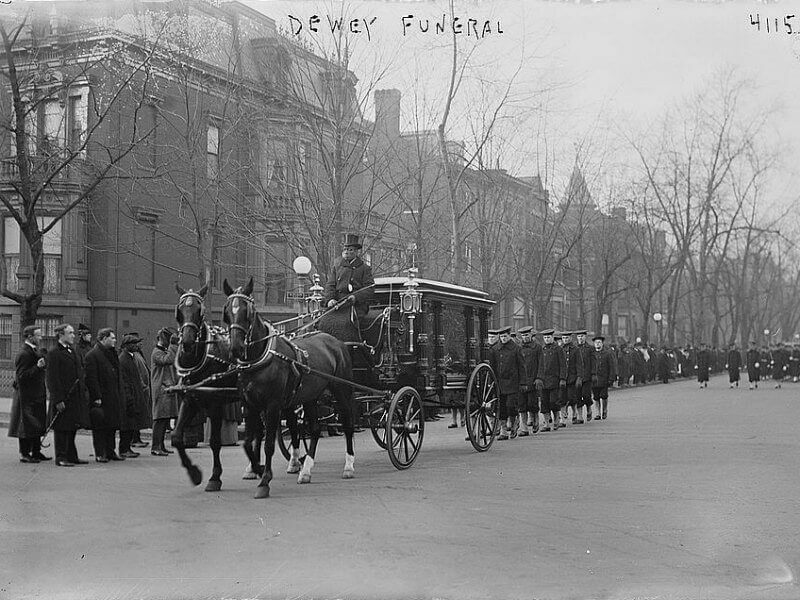 Here, Admiral George Dewey is borne in a horse-drawn hearse to his final resting place after his funeral in Washington D.C. He was the only person in the history of the United States to attain the prestigious rank of Admiral of the Navy, in recognition of his victory at the Battle of Manila Bay during the Spanish-American War. Admiral Dewey died in 1917 and was buried in the crypt of Bethlehem Chapel at the Washington National Cathedral, in Washington D.C. 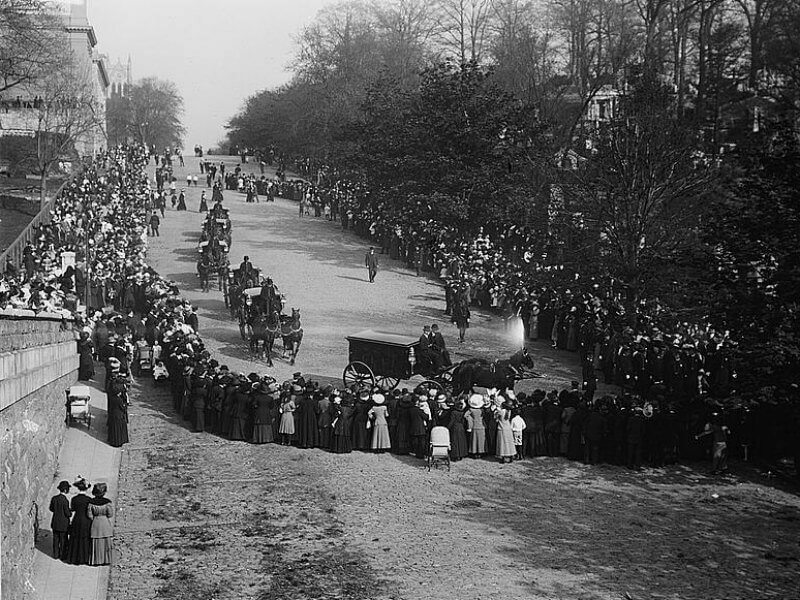 The 1911 funeral of wealthy businessman John Warne Gates is immortalized in this photograph. He was known as Bet-a-Million Gates, thanks to his talent for winning huge amounts of cash on everything from horses to card games. He was also president of the Texas Company, the oil company later renamed Texaco. No wonder, then, that for Bet-a-Million Gates’ funeral there was no expense spared. The very latest motor hearse carried him from the funeral service at the Plaza Hotel, New York City, to Woodlawn Cemetery in The Bronx. These unique historical photographs capture how while some things may change, funerals are one of life’s most important rituals. You can discover more fascinating historical photos via the Library of Congress’s online catalogue.